"After extensive testing," EA has decided not to release a digital download version of Titanfall for the Xbox 360. Titanfall, which was available as both a retail disk and a digital download when it released earlier on the year for Xbox One and PC, won't have the same choice on Xbox 360. EA has confirmed that "after extensive testing," the company has decided to not publish a "Games on Demand" digital download version of the game when it releases on Xbox 360. 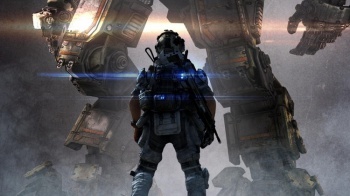 "After extensive testing, we felt that it simply did not represent the true Titanfall experience and it was decided not to release a Games on Demand version," said the EA press release, adding "As we never officially announced that Titanfall would be available via Games on Demand and the option to purchase it that way should have never been offered." "We hope players understand this decision was all about quality and making sure you get the best Titanfall experience." It seems like a somewhat... odd way to excuse it. How, pray tell, would have the option to download the game impact on the "true Titanfall experience?" It feels a lot like the company does not have as much faith in the Xbox 360 version as it does in its Xbox One and PC cousins. So, it looks like if you want to play Titanfall on your Xbox 360, you're going to have to walk into an actual shop, you know, like they did in olden times (or, I guess, just order it from Amazon).